This bracelet has been charged with the angel, element, direction, and energies of Winter, and to adapt to your individual needs. It will continuously receive and transmit unlimited sacred energy. The energy will never "wear out," and the crystals will not absorb any negative energy, so it never needs to be cleared. If at any time in your journey, you sense or become aware that you are not experiencing all that is possible, you can choose in that moment to release the doubt, fears or blockages and allow yourself to receive. You are worthy! 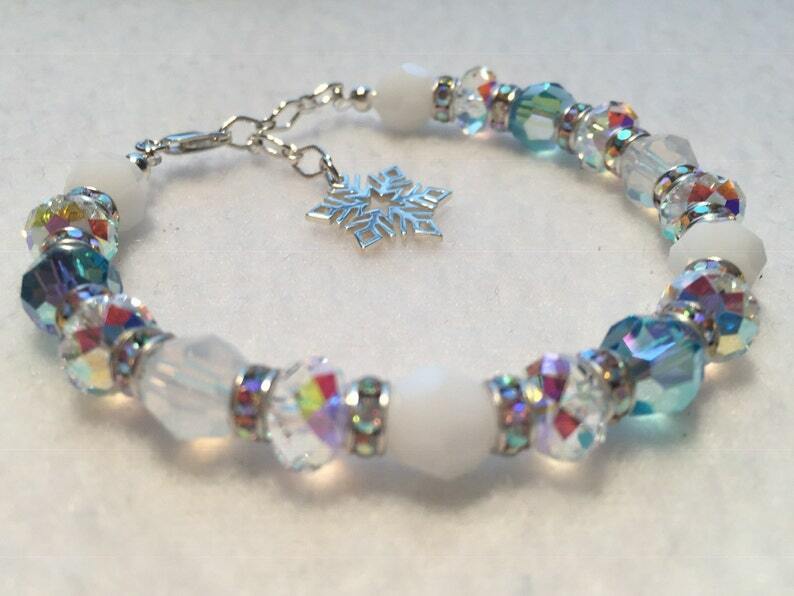 COLOR: Aquamarine, Alabaster, Crystal AB, and White Opal with Sterling Silver clasp, chain and Snowflake charm. 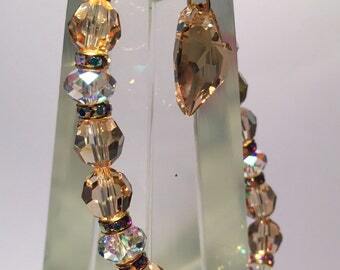 Swarovski crystal spacer beads are silver plated. PLEASE NOTE: We are co-creators with God/Universe/Creator/Divine Source... in the production of these amazing bracelets. We clear, assemble and infuse the bracelets. God supplies the energy and the potential. Our intention in creating these jewels is for them to bless and enhance your life. How that manifests for you is in accordance with what you will allow yourself to receive, and between you and God.